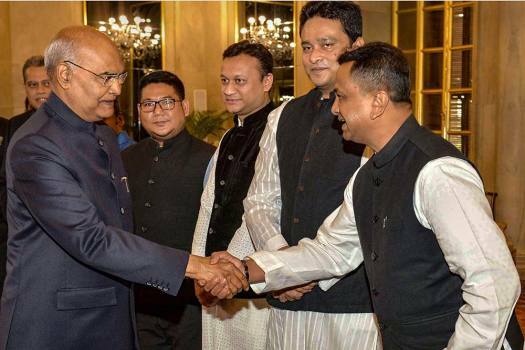 President Ram Nath Kovind shakes hands with MPs and political leaders from Bangladesh during a call-on, at Rashtrapati Bhawan in New Delhi. 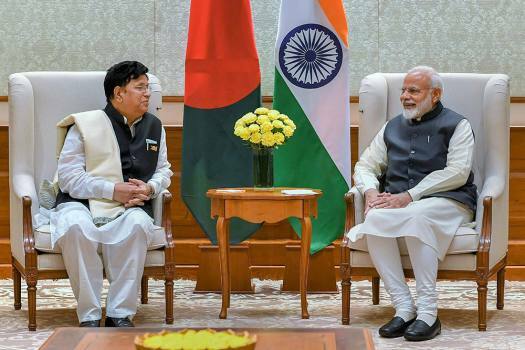 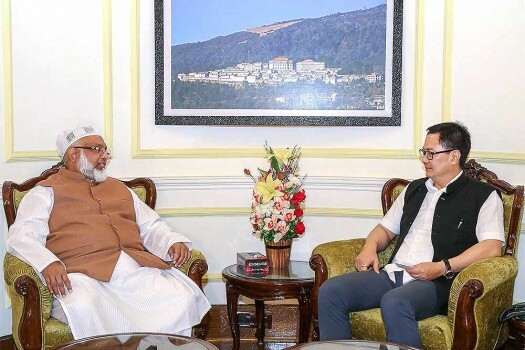 Prime Minister Narendra Modi during a meeting with Bangladeshi Minister of Foreign Affairs AK Abdul Momen, in New Delhi. 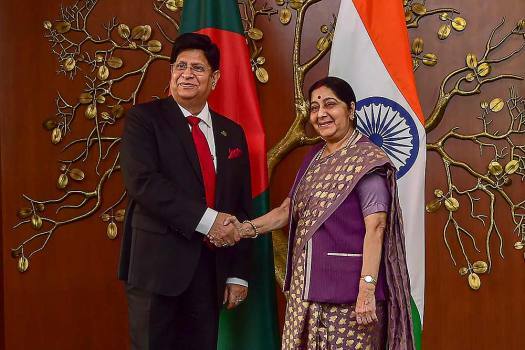 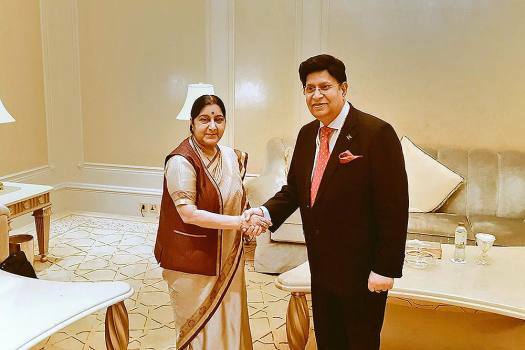 External Affair Minister Sushma Swaraj shakes hand with her Bangladeshi counterpart A K Abdul Momen before their meeting, in New Delhi. 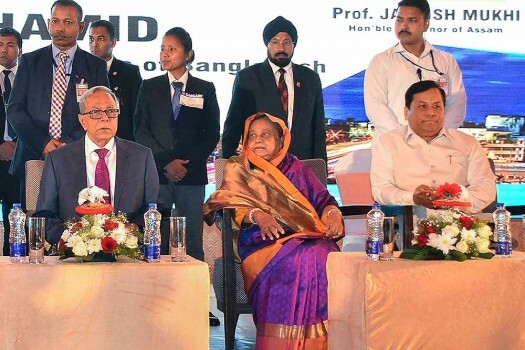 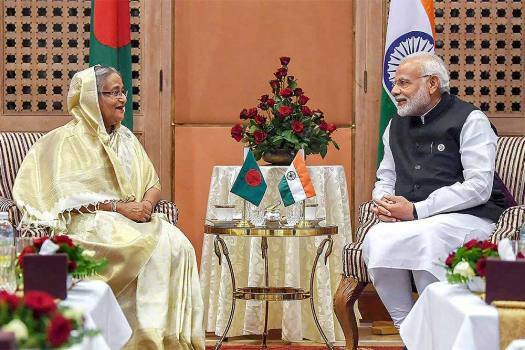 Prime Minister Narendra Modi and Prime Minister of Bangladesh Sheikh Hasina at a meeting, on the sidelines of the 4th BIMSTEC Summit, in Kathmandu, Nepal. 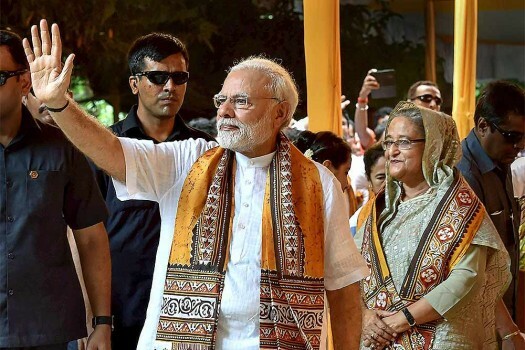 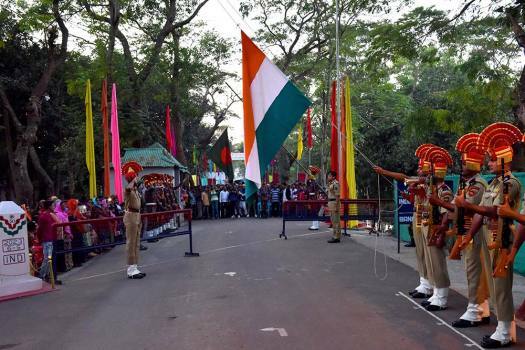 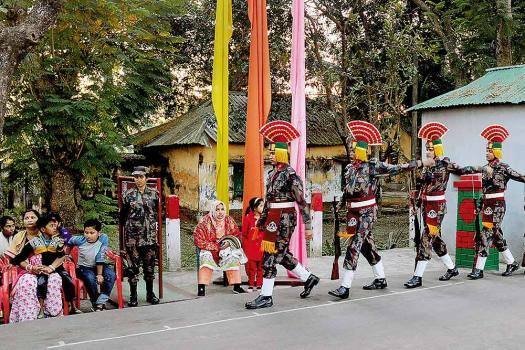 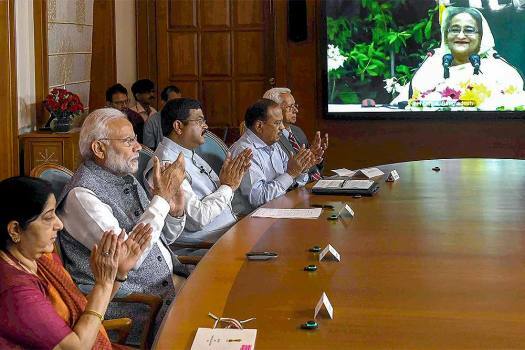 Prime Minister Narendra Modi waves as his Bangladeshi counterpart Sheikh Hasina looks on after attending convocation of the Visva Bharati University at Santiniketan. 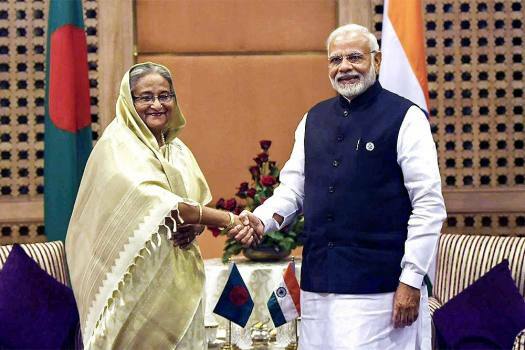 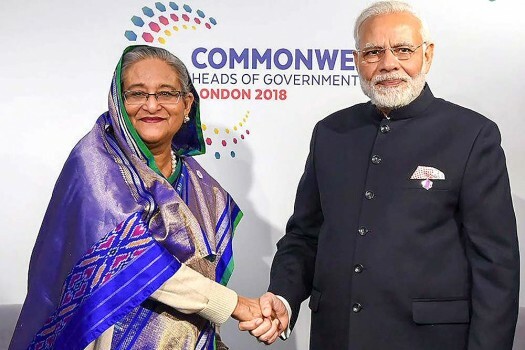 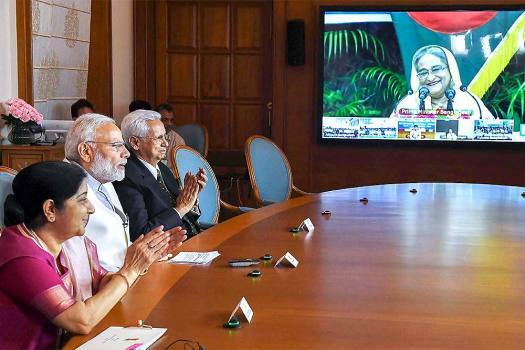 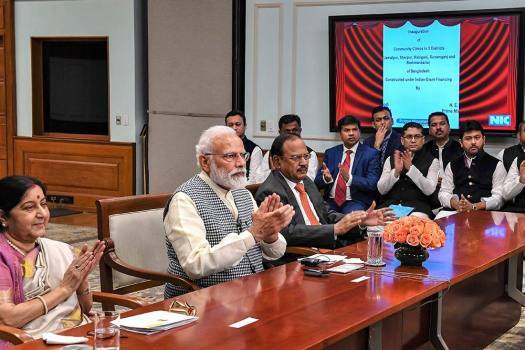 Prime Minister Narendra Modi with his Bangladeshi counterpart Sheikh Hasina, at a meeting on the sidelines of CHOGM 2018, in London. 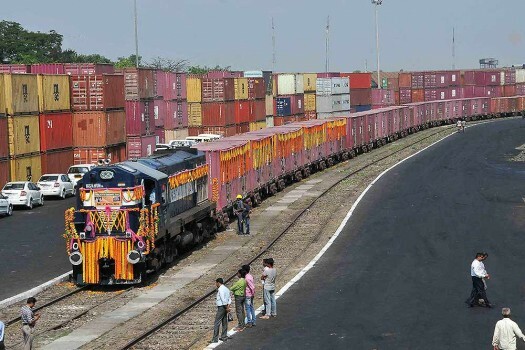 India to Bangladesh container train loaded with over 1,100 tonnes of animal feed stationed at Concor terminus near Majherhat station before the trail run in Kolkata. 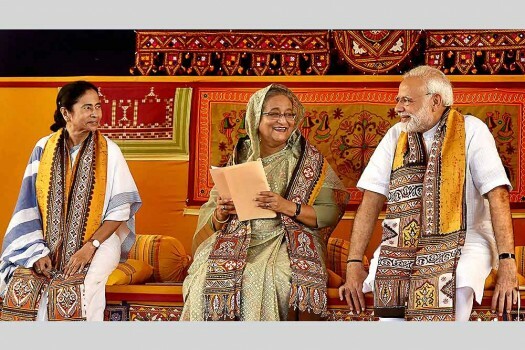 Two weeks into the campaign, Hasina has addressed hundreds of thousands of people in rallies across the country as she seeks a record fourth term for the office. 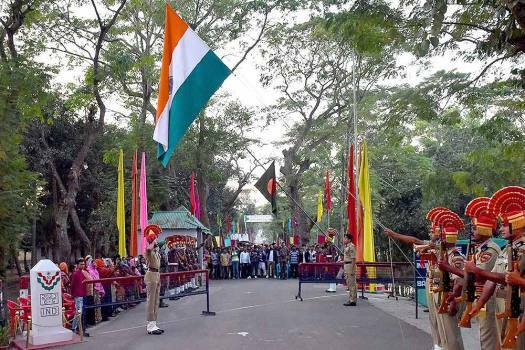 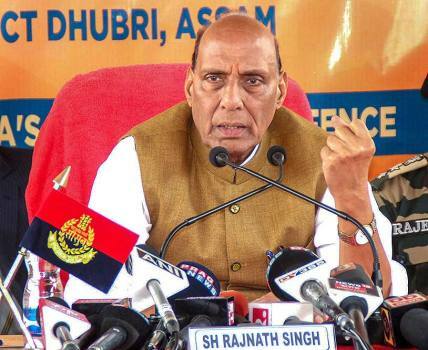 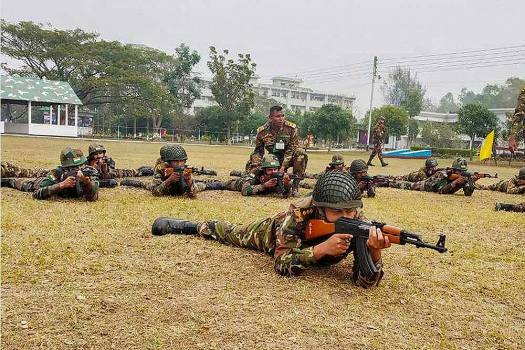 BJP President Amit Shah had on Saturday said Bangladeshi migrants are like “termites” and each one of them will be sent out of the country.